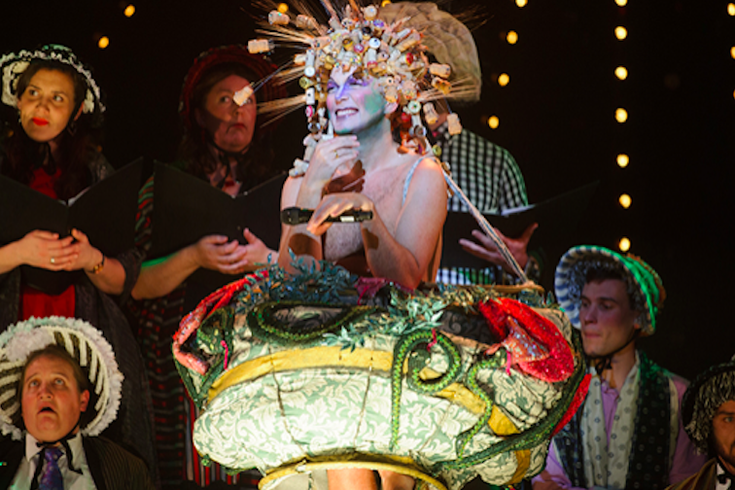 This season showcased many standout performances with gender non-binary performers and themes, like Taylor Mac’s “A 24-Decade History of Popular Music” that was performed non-stop over the course of two days this month during the Philadelphia International Festival of the Arts (PIFA). A few new changes will accompany the launch of the 2018-19 Barrymore Awards season on July 1. The Barrymore Awards, produced by Theatre Philadelphia, spotlights top talent from the live stage throughout the region. And this year, Executive Director Leigh Goldenberg says that one of the most notable changes is removing gender identifiers from the award categories. Each spring, Theatre Philadelphia’s Barrymore Oversight Committee selects a pool of judges and nominators to adjudicate the upcoming season of Barrymore-eligible productions. Nominators vote to make recommendations in categories ranging from performance and design to choreography, original music, new plays and direction. Starting this year, the Barrymore Awards categories will be gender-inclusive, with traditional male and female designations replaced with gender-inclusive descriptors. The impetus for this change came after Goldenberg attended the annual gathering of the Association of Performing Arts Service Organizations last spring, where she met Jacoba Knaapen from the Toronto Alliance for the Performing Arts. Knaapen, who runs Canada’s largest and oldest performing arts awards, had already restructured the honors up north to consider gender inclusivity to much success. As a result of the almost yearlong brainstorming sessions, Philadelphia’s theater community will be able to respectfully honor talent without pigeonholing artists into uncomfortable and, frankly, inaccurate categories. This is important in a few notable ways. “One thing that drove the urgency to make the change for the current season is the number of gender non-binary performers in Barrymore-eligible shows this season,” Goldenberg said. To date, only three other American theater markets have announced gender-inclusive categories prior to Philly. Leigh Goldenberg at the 2017 Barrymore Awards. In addition to rethinking gender, Theatre Philadelphia has also examined its pool of Barrymore nominators and judges. 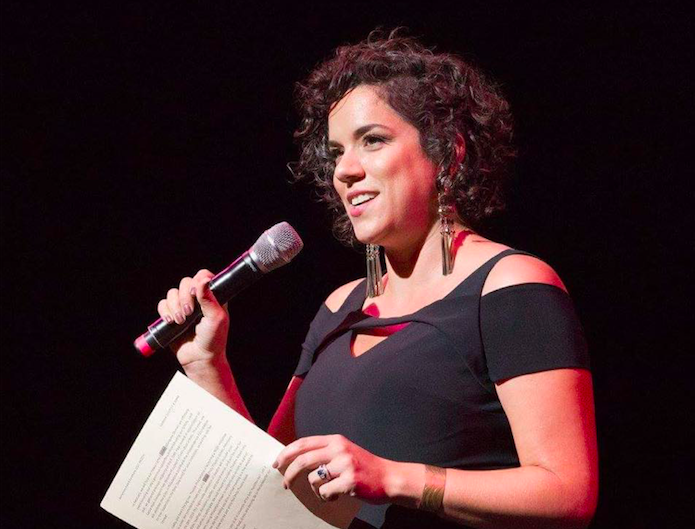 “We aim to ensure those viewing and judging the work on stage come from a variety of backgrounds reflective of our city’s population and of those artists telling the stories,” says Goldenberg, who embarked on a two-year process where the Diversity and Inclusion and Barrymore Oversight Committees actively recruited nominators and judges based on diversity and inclusion. The result is a change in the make-up of this key group of volunteers, something Goldenberg discussed candidly with PhillyVoice earlier this year in an examination of diversity challenges and successes in Philly’s theater community. According to Goldenberg, 50 percent of newly selected awards judges now identify as people of color, a 33 percent increase from 2017. This year also sees an increase in the number of cis-gender women’s participation (83 percent), another 33 percent increase from last year. “These changes come alongside anti-oppression and anti-bias training for our staff, board and volunteers to self-assess our personal and institutional practices,” says Goldenberg. Goldenberg admits that these changes certainly do not signal the end of the ongoing conversation about diversity in the local arts community, where people of color – mature performers and non-binary actors – often compete for a smattering of roles.